So saddle up your blanket and get outdoors! 1. 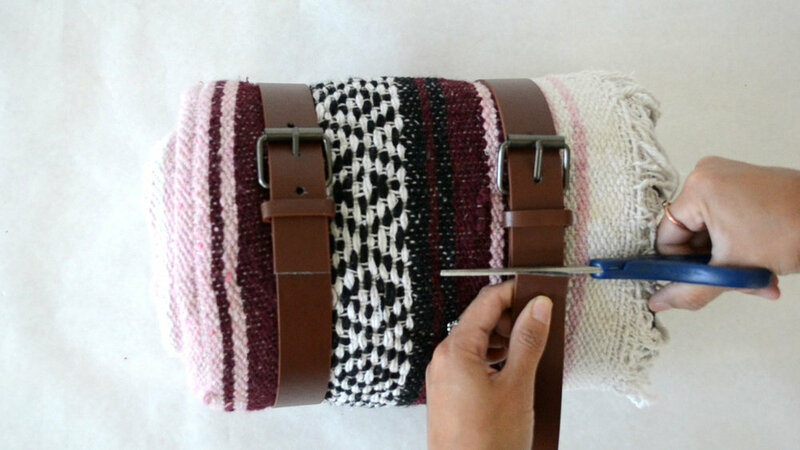 Take one belt and secure it around your blanket pulling it tight so it fits snug around your blanket. Mark a few evenly spaced dotes where you want your new holes to go. 2. 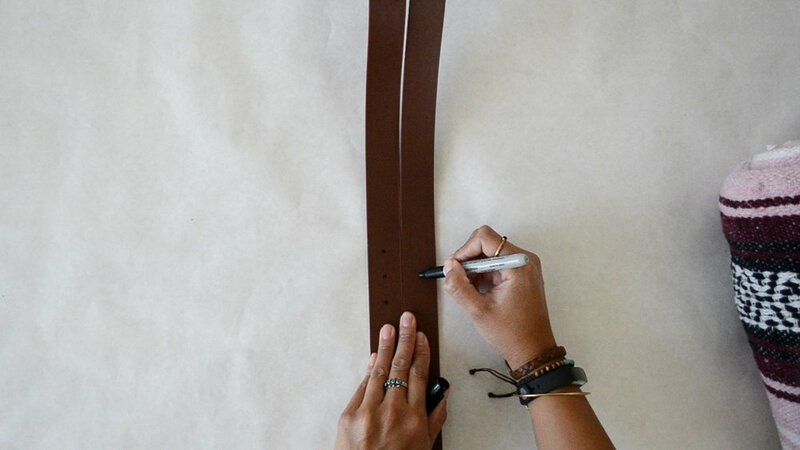 Line up your two belts and mark the same dots onto your other belt. 3. 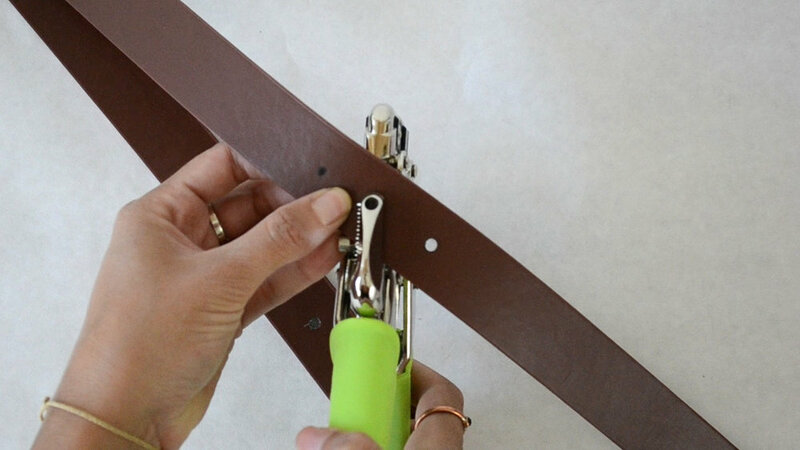 With your leather hole punch make holes into both belts. 4. 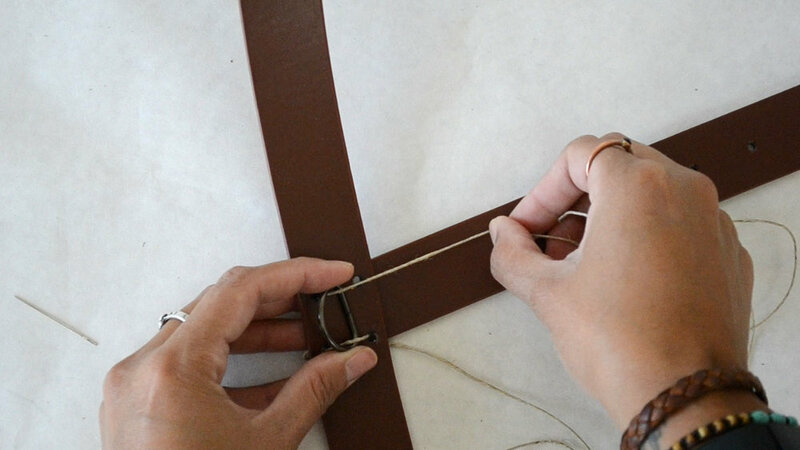 Wrap the two belts around the blanket and cut off the extra leather, leaving an inch or two after the last hole. 5. 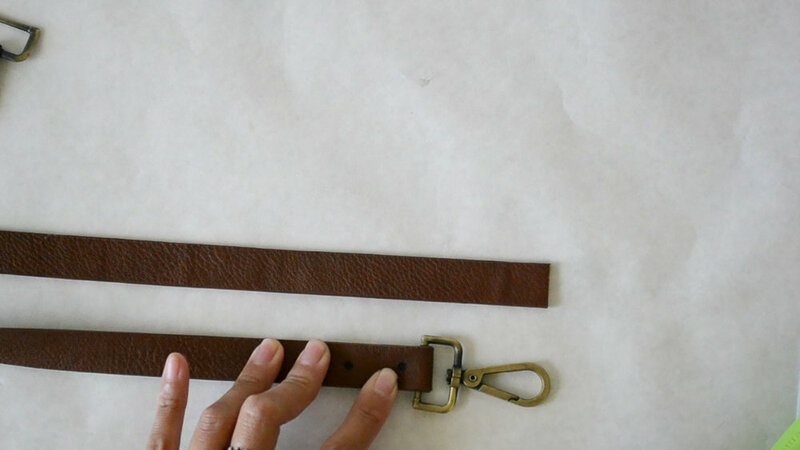 Unbuckle your belts and lay them out about 10 inch apart or whatever will fit best for your blanket. 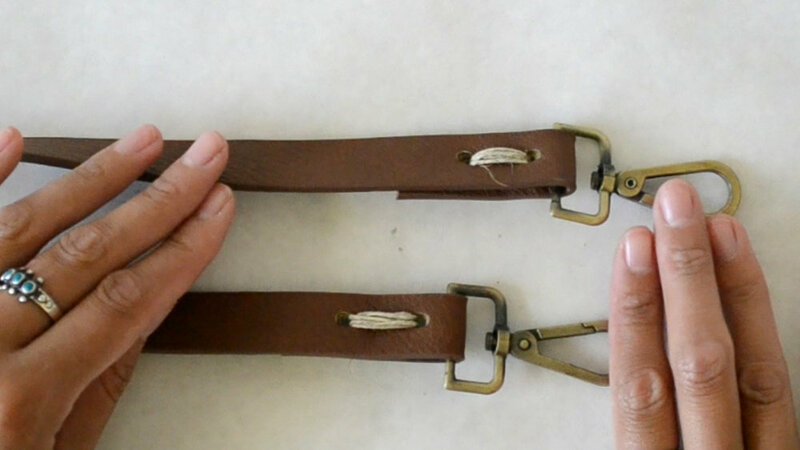 With one of the cutoff parts of the belt place it across the belts straps. This is going to be the handle for your strap. Mark about an inch extra on each side and cut. 6. 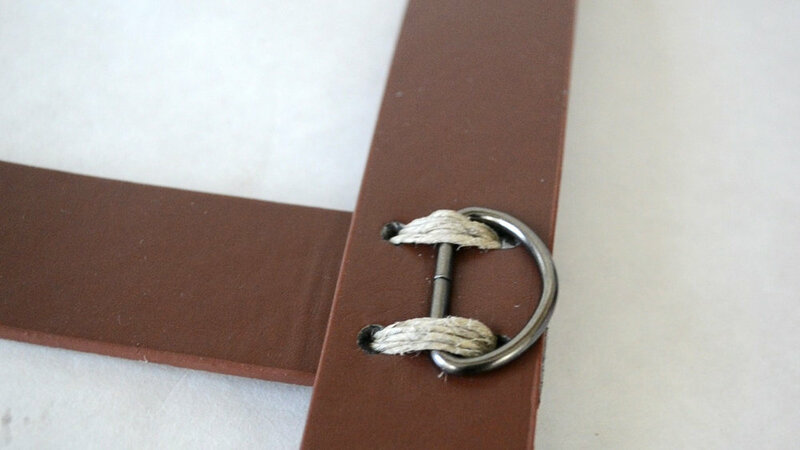 Take your handle and place it under one of the belts about 6 inches above your holes. Mark four dots in the shape of a square that will hold both belts. Do the same on the other side making sure all the belts line up and punch out the holes. 7. 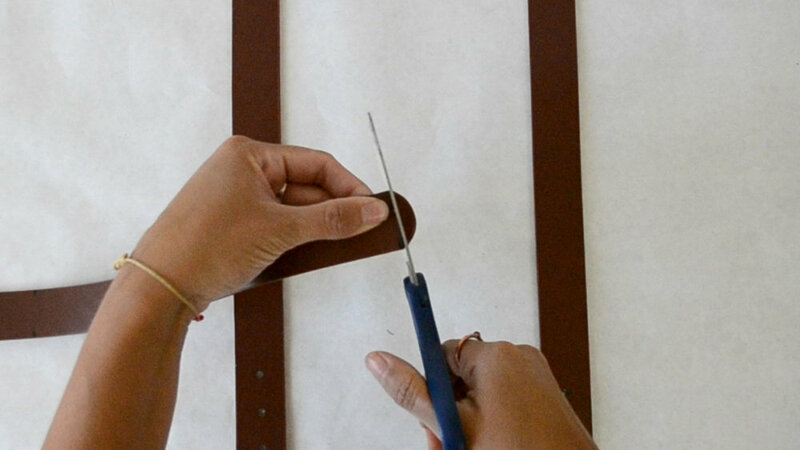 Place the belt with the holes on top of your handle and mark the exact same holes. 8. To attach the handle grab some twine and string through the holes starting from the back. 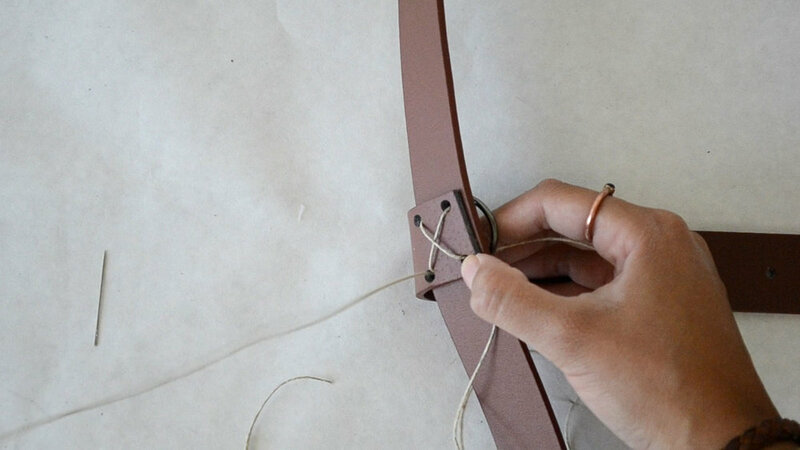 Place your “D” ring in the center and string the twine through the “D” ring and into the other hole. From the back string through the diagonal hole leading to the front through the “D” ring and into the next hole. 9. Next string through where you started making an “X” stitch on the back. Repeat this several times till the straps are tight and secure. 10. 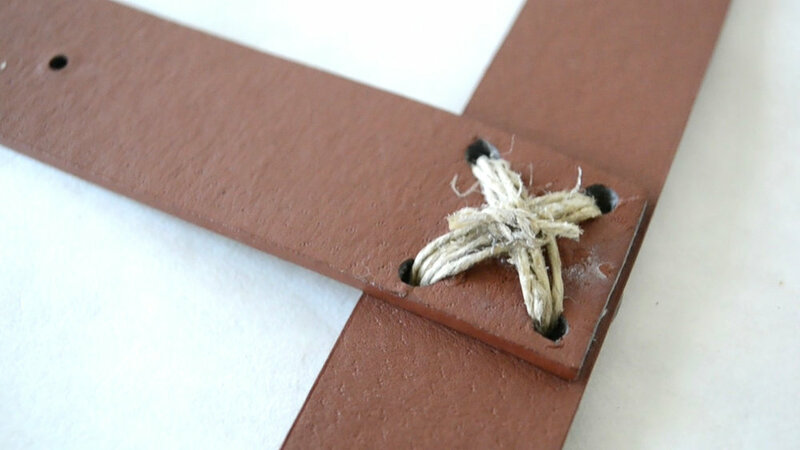 Add a little super glue under the twine for extra hold and then tie a few knots. 14. With your twine, string through each of the holes over and over again till tightly secured. 15. 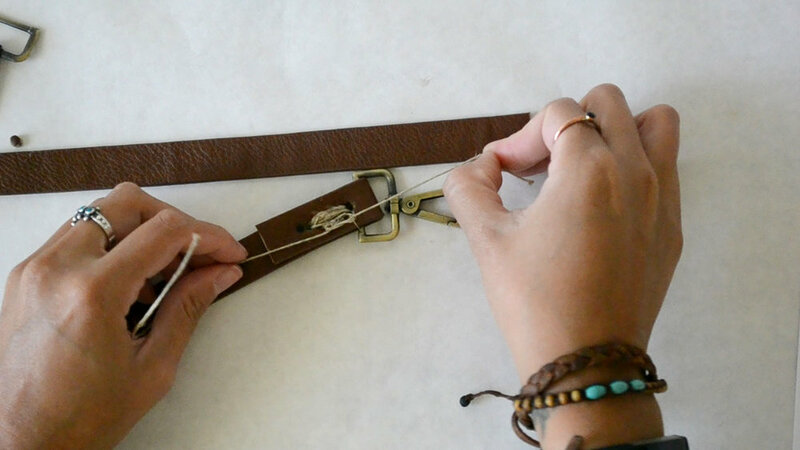 Tie up the end and repeat on the other side. Watch the video to see all steps in action.